Being drawn against the second overall team this season, Wigan, didn’t daunt the Cambridge team full of both youthful exuberance and experienced grit. A hard fought pitch one match ensued, with flowing tries and some excellent defence from both sides. The match went score for score all the way through but Wigan eventually prevailed 8-7. With a few touchdowns left of the field the Cambridge team couldn’t help thinking of the upset that could have been having produced one of the MWTC matches of the year (it was filmed! Head along to the England touch youtube to catch up on it). Heading into the plate knock outs Cambridge faced the local crew from Canterbury. Taking absolutely nothing from the first game, both teams struggled to produce consistent touch. presumably the heat of the day had dried up the flair reservoirs and it certainly wasn’t flowing. 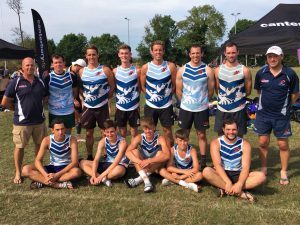 Although Cambridge did end up eventual victors 7-6, they were hell bent on finishing the season strongly against an experienced London galaxy team in the plate final. Going down 3-1 early, the hornets fought back bravely, both mentally and physically, to level at half time. The second half saw them give away a few too many and recovery proved difficult on tired legs, eventually losing (score). 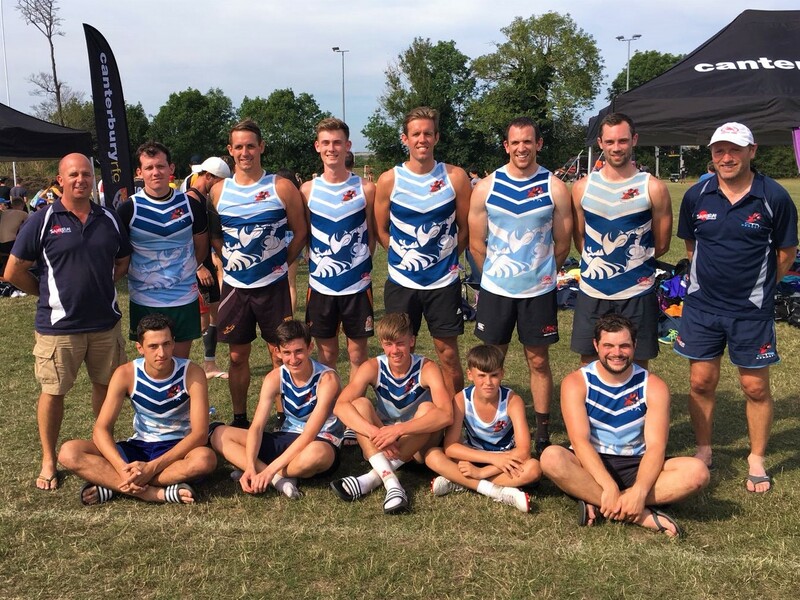 The Cambridge boys fought hard all season and improved every tournament, showing the big teams that they are real title contenders next year losing only marginally to eventual tournament and season winners Wigan team. They have a lot to be proud of and with by far the youngest team in the tournament, a lot to look forward to in years to come! 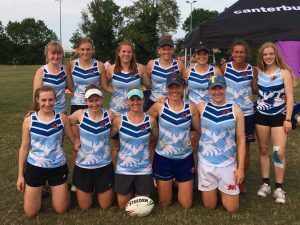 The women’s team travelled to Canterbury on 4th August on a high after many individual and team successes for lots of the representative players at the European Touch Championships. A couple of absences of regular hornets players meant that the team sheet was altered from the previous two tournaments. The side had had a mixed season to date, with a third place finish in Oxford and a plate win in Manchester. London Scorpions, familiar opponents and series favourites, were the Hornets first opposition. The girls got off to a great start with an early score and some tight defence which kept the score at 1-0 for most of the first half. Despite many scoring opportunities, they couldn’t increase the lead and shortly before half time conceded 2 in quick succession making the score 1-2 at the break. The team came out hard after half time to equalise, but a momentary lapse caused them to concede again, and they quickly found themselves chasing the game. It was a strong performance from the team, but the final score was 3-6. This put a lot of pressure on the side to win their next fixture; CSSC on the show pitch in the midday sun. CSSC are never an easy side to play against as they are well drilled and play with a strong structure. However, the team quickly identified that the CSSC links were working very hard and biting for touches so there were good opportunities on the outside. Despite being able to exploit this early on, the hornets kept the pressure on themselves by leaking easy scores through lapses in midfield defence so the score at half time was evens. With everything to play for in the second half the team started strongly, but a reduction in the intensity of their driving pattern and some midfield handling errors towards the end of the second half allowed CSSC to open up a lead on the Hornets side that they couldn’t get back. Although there were moments of brilliance, and the scores created by the Hornets were all excellently worked, overall the team performance wasn’t great and the side were frustrated to lose, but the team will all have learned from their mistakes. With two losses in the pool stage, the team went into the 5th-6th place match against an almost full-strength Thames Valley side. The Hornets definitely had something to prove after the two defeats earlier in the day. The team got onto the score board early on and despite Thames Valley twice scoring back to keep the score equal for the first 10 minutes, the pressure was all on them and soon the Hornets had opened up a decent lead. Thames Valley got one back at the end, but at the final whistle the Hornets were ahead by 3 to win 6-3. With a 3rd and two 5th place finishes, the team finished joint 4th in the series, one down from last year. On a positive note, with the talented youth coming through the clubs ranks, the future for Cambridge touch is bright and we fully expect to continue to be in the top 4 club sides in England for the coming seasons – time to put in the hard graft ladies!